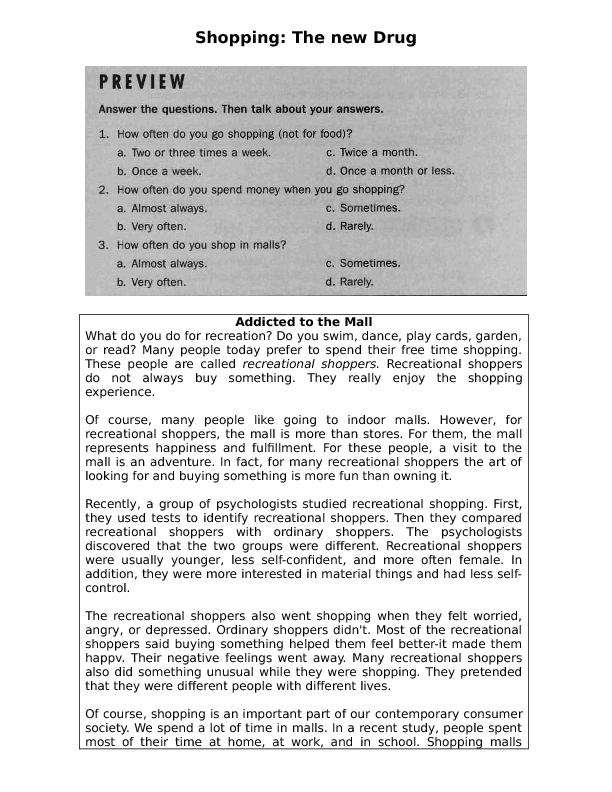 This is a reading comprehension exercise about shopping and its addiction. It's perfect for classes talking about shopping. You can use it in intermediate levels or above. What do you do for recreation? Do you swim, dance, play cards, garden, or read? 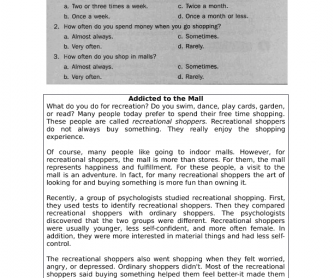 Many people today prefer to spend their free time shopping. These people are called recreational shoppers. Recreational shoppers do not always buy anything. They really enjoy the shopping experience.